For his second straight win of the year, and second straight at the track, Kyle Busch won the Food City 500 at Bristol Motor Speedway. 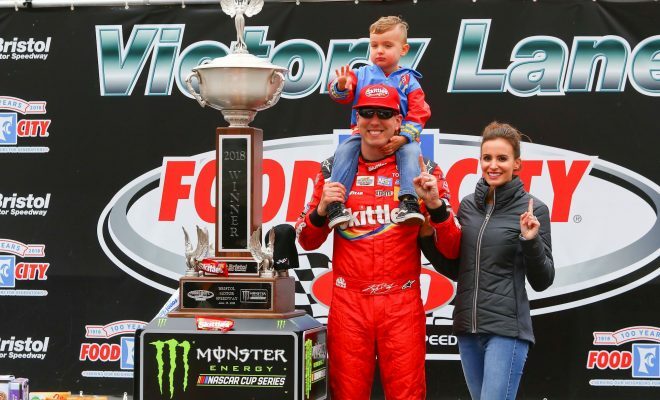 To be technical, Busch actually hasn’t lost a race he was entered in at BMS since the 2017 Monster Energy NASCAR Cup Series spring race; remember he swept the August race weekend. “I knew we had a really good car. Once we got into the long runs, when we did get into the long runs, we were running them down. We were passing people, you know. The distance that Larson and I had on third place there before that last caution came out was a straightaway or something like that, and I was even slowing down because I felt like I was going to blow a tire, so I was trying to soften my blow. Busch is also the point standings leader (365), 59 points ahead of second place, Joey Logano (309). In the race to get playoff points, Busch has tied Kevin Harvick with 12. With seven top-10s, two stage wins, and now two race wins, Busch has firmly asserted himself as a leading contender in this year’s championship race. The last time the Las Vegas born driver finished outside of the top-10 was Daytona and the last time he failed to end the day in the t0p-five was Atlanta — he hasn’t finished outside the top-two since Fontana. Much was made of Harvick’s stint of three race wins, but Busch is just as prowling on track. Given a gentle bump and run by Busch on lap 495, Kyle Larson finished second for his best finish of the year. Larson didn’t expect his car to be as loose as it was on the final run of the race. Seven time champion, Jimmie Johnson came in third at BMS, for his best finish of the year. Last week Johnson was marred back in 35 after wrecking out of the 500 mile event at Texas Motor Speedway. 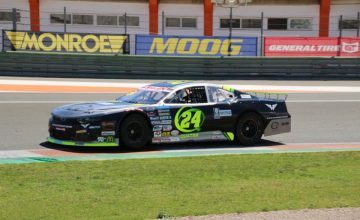 Now, after getting his first top-five of the year, and second top-10, Johnson believes momentum can be carried over from race weekend to race weekend. After starting near the front, Ricky Stenhouse Jr. was involved in a wreck not long after the Food City 500 began Sunday afternoon. The Roush Fenway Racing driver and team didn’t let up, they were still in the hunt when the race resumed on Monday, thanks to rain that drenched the entire state Sunday evening. By the end of the race Stenhouse was a true contender, nearly passing Larson for the lead, but when the checkered flew he drove under the flagman fourth. Alew Bowman was fifth, getting his first top-five of the year. NASCAR officials and BMS workers applied a home brewed version of trackbite (commonly used on drag strips) to the very bottom lane of the corners, like has been done over the past year or so. This time they made this groove even narrower, really forcing drivers to drive as low as possible. To the delight of fans, the concept worked; however, the middle lane did make an appearance. Those who were fast could work there cars on the bottom or middle of the race track. 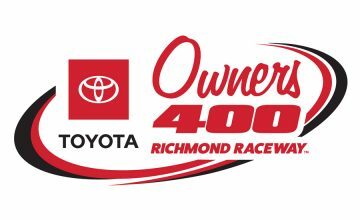 This week NASCAR will tackle Richmond Raceway, but no performance enhancers will be applied to the three-quarter-mile D-shaped oval. Last Fall Martin Truex Jr. led much of the race but was snubbed from a victory during an overtime wreck.